Cross country season in full effect and the taste of fall is in the air yet again! Accordingly, the Wings office has shifted its focus from Running & Fitness Camps to recruiting our 2015 National Team. 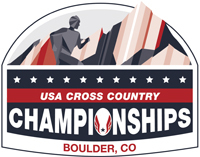 Fortunately there are many regular-season races yet to be run before 14 young men and women are selected to represent Native America at the USATF Cross Country Championships next February in Boulder, CO.
As in years past, Wings will require all National Team hopefuls to run a post-season qualifying time at their Nike Cross (NXN) or Footlocker regional championship race. After all regional races have been run, a selection committee will select the top seven boys and girls from around Indian Country to represent Wings. This all-expense-paid trip is the pinnacle of the Wings experience. Every year since 1988, Wings National Team members have received a brand new racing kit and the opportunity to prove their worth amongst the best runners in the United States. Wings teams have brought home 24 national team titles. Because post-season racing and travelling can be expensive, Wings has developed a program to help would-be National Team members defray some of their costs. 2. Complete the free 2015 Wings National Team Selection application on the Wings website (http://www.wingsofamerica.org/2015wingsnationalteam/) at least fourteen (14) days before the qualifying race they wish to run. 3. Email the Wings Program Director (dustin@wingsofamerica.org) at least fourteen (14) days before the qualifying race they wish to run to confirm their desire to be registered to compete. 4. Be able to provide proof of enrollment in a state or federally recognized Indian Tribe. 5. Provide a copy of their class schedule and a “grade check” indicating that each of their current teachers considers their coursework to be of C-Average or “satisfactory” quality. Student-athletes must meet ALL qualifying criteria for race registration assistance. Student-athletes must contact the Wings Program Director, Dustin Martin, as soon as possible to express their interest and reserve their spot. Student-athletes are responsible for the cost of all meals and/or miscellaneous travel expenses during the trip. Students-athletes and their parents must return a signed accident waiver and release of liability form to the Wings office at least seven (7) days prior to travel. Students-athletes must return a signed code of conduct agreement to the Wings office at least seven (7) days prior to travel. Student-athletes must meet Wings vehicles at pre-designated pick-up/drop-off locations on their way to regional races. The official race registration and travel assistance document/application is available HERE. Those wishing to apply should take special note of page 3, the grade check form. For more information about the 2015 Wings National Team and selection criteria, in general, please visit the information and registration page HERE.